His name is Slick. We hadn’t planned on naming him, didn’t think he’d come around after we took away his “honey pots” but we were wrong. His first return visit woke us up in the middle of the night. 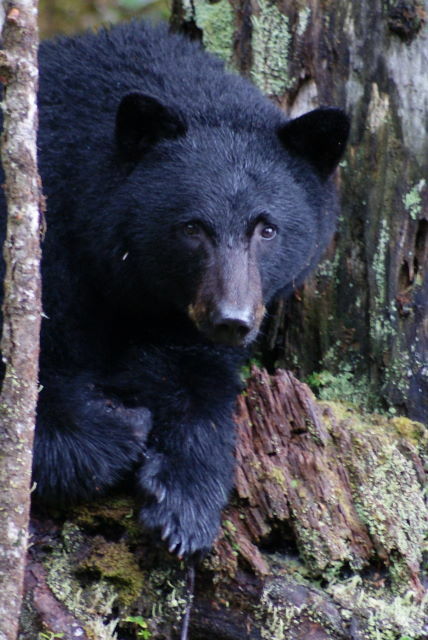 We just assumed that is was the raccoons causing the racket but when we poked our heads up from the warmth of our bed it was none other than our resident bear right outside our window. Several plastic garbage cans, empty and cleaned must still retain some aroma that gets Slick’s nose working. 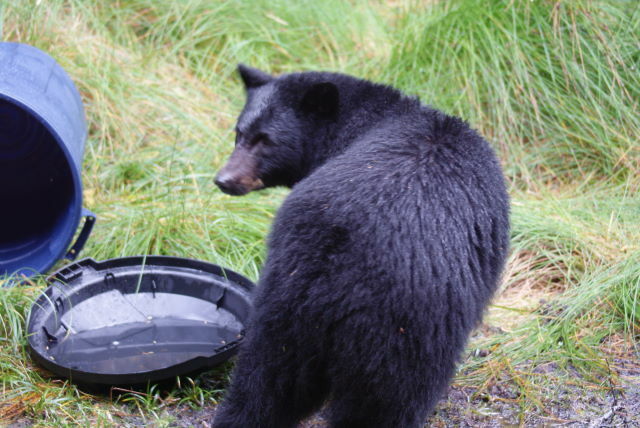 Even though he didn’t get anything out of the cans during his midnight foray that didn’t discourage him from having another go at it in the morning. 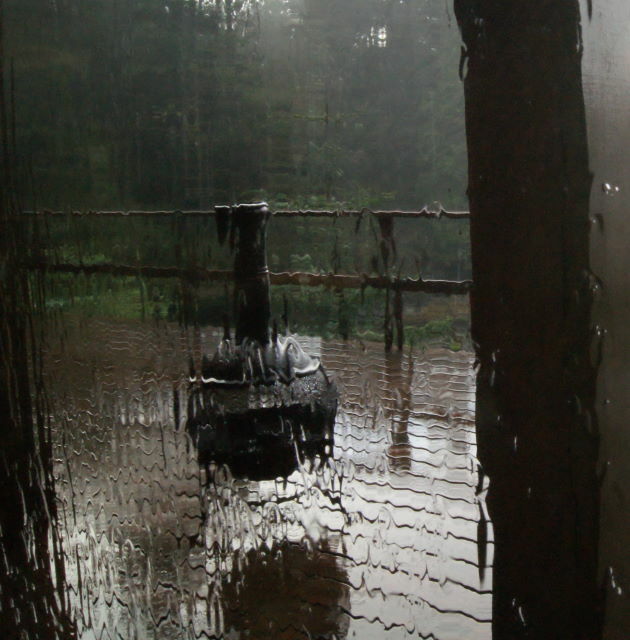 The winter rains haven’t set in yet…….maybe this is just the dress rehearsal. Stormy days can be very productive. It’s been almost 2 weeks now that the fruit for my fruitcake has been marinating in a liberal amount of very good dark rum and I think it’s time to bake. I know there are those of you out there who think that soaking fruit for a fruitcake of all things is just a total waste of good booze but I….we…love a good Christmas cake. I have never used one for a doorstop or re-gifted it to someone I really don’t care for although I have had my share of cakes that could fall into one of those categories. A good cake should have a high alcohol content, it’s acts as a natural preservative…really. In fact I have in the cooler at the moment one slab of cake from last year which is now aged and so moist I’m sure it will make the perfect Christmas pudding once heated and served with a generous topping of my drambuie caramel sauce. We will have to wait till Christmas and as they say , “the proof will be in the pudding”. I bake almost all of our bread and am always trying something different. 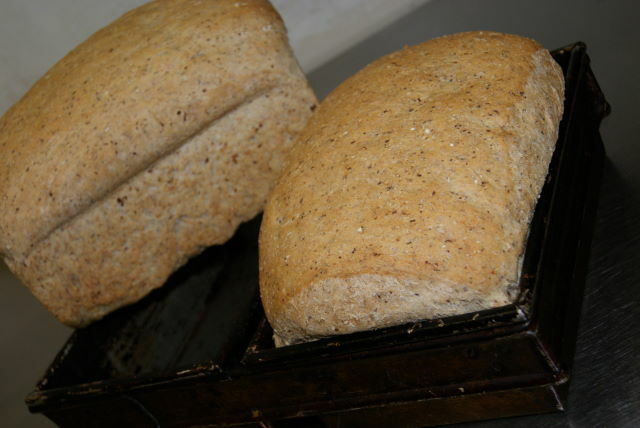 This wholewheat loaf is full of oats and ground flax, should make a good sandwich or toast. 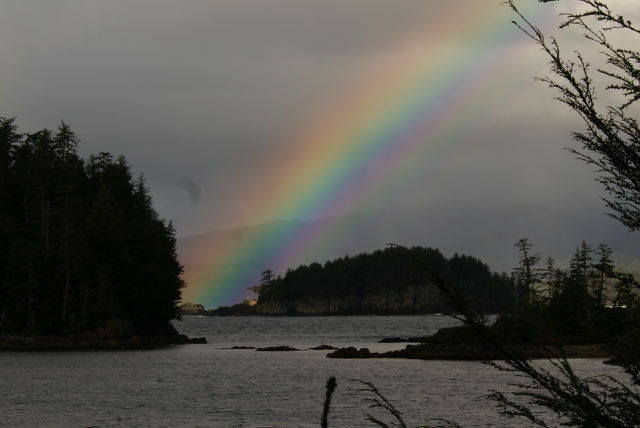 ….Somewhere, over the rainbow, skies are blue……. 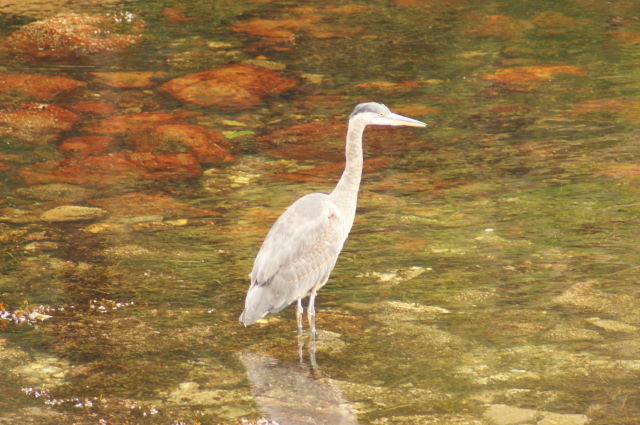 The heron is back. Last year only one showed up for a week or so before 5 others arrived. Maybe this one is the scout. I’m looking forward to seeing the rest of the gang. Hi Rod, glad you are enjoying the posts. Mike and I have a great time living them. Send me an email at canadianfreight@hotmail.com and than I can pass along the recipe for the sauce. Enjoying your reports -The Outpost is one of my favourite places. 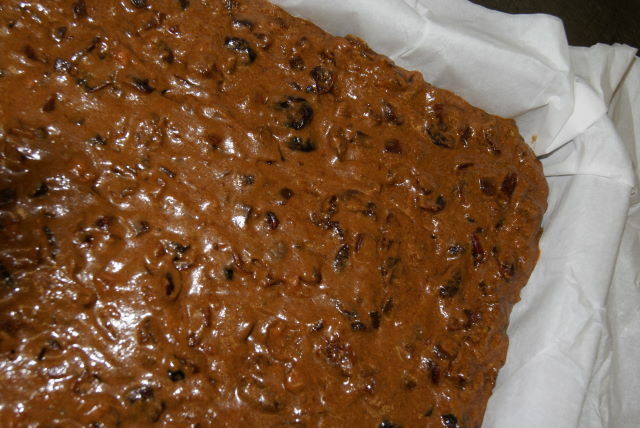 Rum soaked fruit cake is awesome -my late Mother made A TERRIFIC version which I HAVE NOT BEEN ABLE TO DUPLICATE unfortunately. Would you share the recipe for the drambuie caramel sauce?